(Toronto – November 23, 2017) – The preparatory work for of one of Lawren Harris’ most renowned canvases, Lake Superior (I.D. 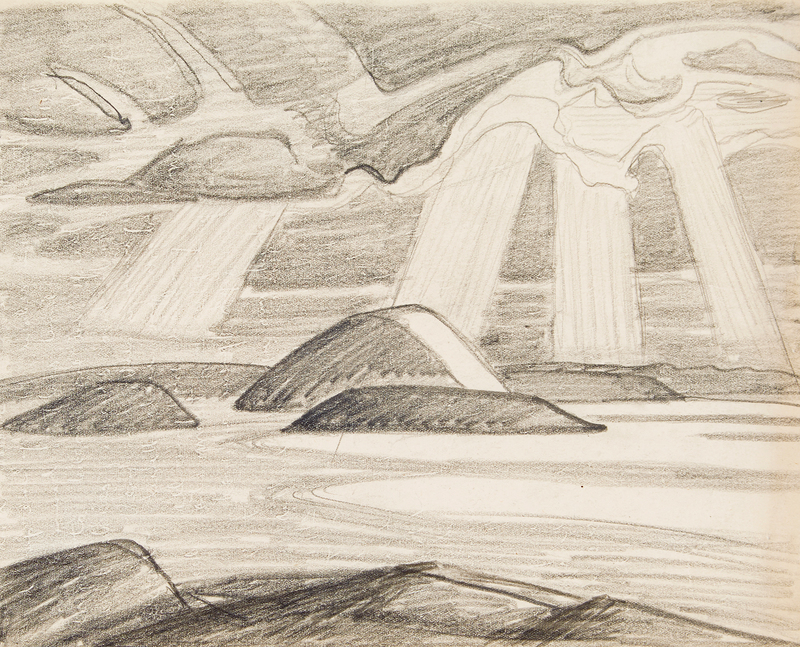 463) sold for nearly five times its auction value setting a new record for a pencil sketch by the Group of Seven artist, fetching $161,000 (significantly above its pre-estimate of $20,000 – $30,000; all prices include a 15 per cent buyer’s premium, the lowest in the industry). The sketch made its auction debut last night at Consignor Canadian Fine Art’s live auction event in Toronto, smashing the previous record for a Harris sketch of $64,900. The exceptional quality of the sketchpad drawing, once owned by the painter’s wife, Bess Harris, along with its rarity and historical significance, helped to propel the bidding to achieve a new auction standard for a Harris work on paper. Another highlight of Consignor’s fall auction was a watercolour painted in 1911 by Emily Carr during her artistic training in France. European Street Scene nearly doubled its opening bid to sell for $276,000 (including premium). The painting was one of many notable works acquired this past summer during Consignor’s Art Roadshow that travelled to 10 cities from coast-to-coast, inviting the public to bring in works of art for valuation. European Street Scene emerged out of the firm’s visit to Calgary during the tour. A.J. Casson, Bridge Over Humber River, one of the first outdoor sketches by the artist, sold for $32,200, exceeding its pre-sale high estimate. Consigned from a collector in British Columbia. Alex Colville, Recording Line Zero, Near Nijmegen, a rare war-period watercolour fetched $34,500, one of the highest prices ever achieved for a work on paper by the artist. Secured from a collection in New Brunswick. Three Black Cats by Maud Lewis, the most popular subject by the East Coast artist, fetched $20,700 (doubling its opening bid, $10,000 – $15,000). This was another work discovered during Consignor’s Art Roadshow in Ottawa. The painting, inherited from the owner’s mother, was tucked away in the family’s basement for decades. It was secured during Consignor’s summer travels when a friend had alerted the owner to the possibility she owned a popular and valuable Maud Lewis work, after seeing a similar painting in the news that was sold by Consignor in the spring for $36,800 (an auction record for the artist). It was a tremendous evening for the work of Maud Lewis, with all seven works on offer achieving prices in excess of the high-end of pre-sale expectation and one rare, large-scale painting, Team of Oxen Ploughing, selling for $32,200, within reach of Consignor’s existing auction record for the painter. Post-War and Contemporary selections attracted fierce bidding throughout the evening auction, with many works achieving prices at or above pre-auction estimates. Featured on the front cover of the Fall Auction catalogue, Michael Snow‘s 1958 canvas Off Minor attracted strong bidding on Thursday evening, the rare painting selling for $57,500, at the high end of expectation. The painting had been held in a single Toronto collection for decades following its creation, the Consignor auction its first opportunity for acquisition since the late 1950s. Two works by Prairies painter William Kurelek captivated collectors during Consignor’s month-long previews, leading to feverish competition within the auction gallery, Arrived Too Early achieving $29,900 (just short of doubling its estimate) and I Hate Water (A Cat’s Loss of Dignity), portraying a feline’s unexpected dip in a pond, selling for $25,300 (exceeding the high-end of expectation). Saskatchewan painter William Perehudoff‘s canvases proved to be in demand during the evening, AC-78-20 nearly doubled its opening bid to sell for $27,600, while Arcturus #32 was hammered down at $14,950, to more than double its opening bid after a battle in the auction gallery. Consignor Canadian Fine Art closes their fall sale with a November/December Online Auction (with bidding open between November 29th and December 6th). 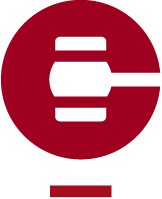 The firm has already begun collecting for their 2018 auctions, including the Spring Live Auction of Important Canadian Art, scheduled to take place in late May (date to be announced).